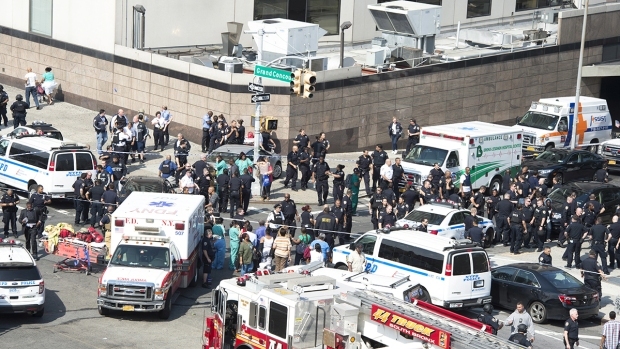 A gunman shot six staff members inside Bronx Lebanon Hospital, one of them fatally, before taking his own life. The gunman has been identified as Dr. Henry Michael Bello, a former family doctor at the hospital who resigned in 2015. Dr. Tracy Sin-Yee Tam, 32, was killed in the shooting. She normally worked in the clinic but was covering a shift for another doctor. 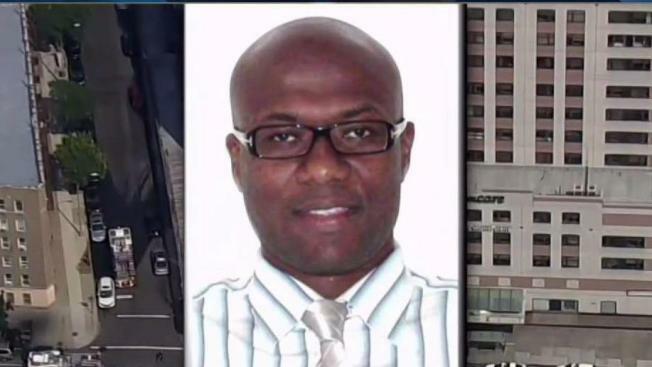 The former doctor who shot six people, killing a physician at Bronx-Lebanon Hospital Friday was fired from a city job one week before the shooting spree, sources tell NBC 4 News. Bello was hired by the de Blasio administration in September after resigning from the hospital. But he stopped reporting to his job with the Human Resources Administration as a case worker assisting AIDS and HIV patients on April 11, sources said. He told supervisors he was experiencing personal problems, but did not quit his job. City managers subsequently tried to reach him, but were unsuccessful. His paychecks stopped and weeks later, Bello was officially terminated on June 21. His salary was $38,617 a year, the sources said. As a case worker, he made home visits to his clients. The city conducted a background check on Bello before he was hired off a civil service list, the sources said, but that check didn't raise any red flags on his troubling hospital termination. "After previously working for the City Health and Hospital Corporation, Mr. Bello was hired at HRA off of the civil service list and like all city employees was subject to a criminal background check. His check did not reveal his 2004 arrest because he pled to a lower charge that didn't show up as a disqualifying offense in a background check," said Jaclyn Rothenberg, a City Hall spokeswoman. In 2004, the doctor pleaded guilty to unlawful imprisonment, a misdemeanor, after a 23-year-old woman told police Bello grabbed her. He was arrested again in 2009 on a charge of unlawful surveillance after two different women reported he was trying to look up their skirts with a mirror. That case was eventually sealed. Bello, 45, worked at Bronx Lebanon Hospital in August 2014 as a house physician but was forced out in February 2015 in lieu of termination. The latest termination was another setback for Bello, who had recently moved out of a men's homeless shelter on 30th Street in March and into his own apartment. He returned to the hospital Friday afternoon wearing a white doctor's coat to conceal an AM-15 rifle and using his old ID. He bought the gun at a store upstate in Schenectady. 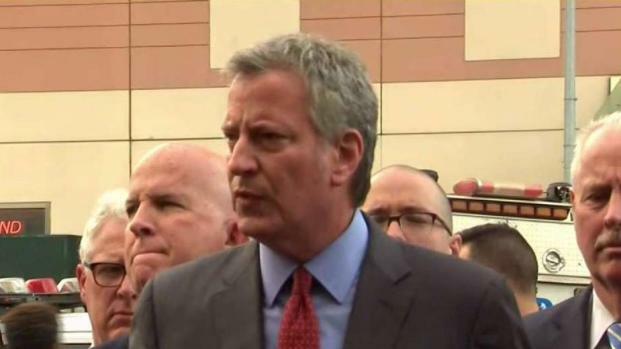 Mayor De Blasio speaks at a press conference outside the Bronx Lebanon Hospital Friday afternoon. 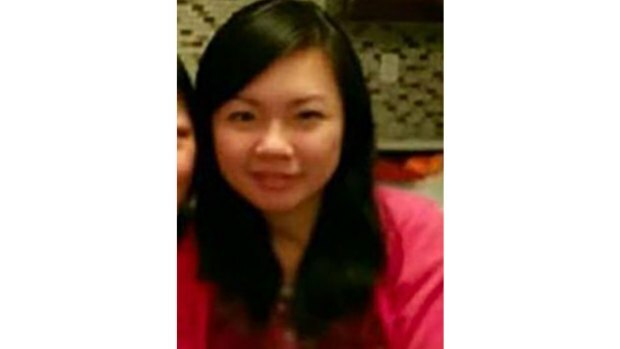 The doctor who was killed, Tracy Sin-Yee Tam, 32, usually worked in the clinic but was covering a shift at the main hospital as a favor to someone else. The six others who were injured — a patient, two medical students and three physicians — largely suffered gunshot wounds to the head, chest and abdomen. One physician remained in critical condition and the rest were stable, officials said Saturday.